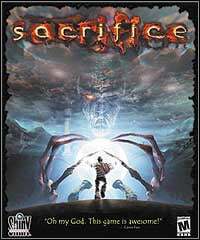 Sacrifice is a real-time strategy produced by Shiny Entertainment studio. The action of the game was set after the end of the Holy War, in which 5 deities defeated the creator. They are now in a ruthless struggle to rule the world. One of the most critically acclaimed strategy games of all time, Sacrifice places you in the role of a wizard in service to one of five warring gods bent on ruling the universe. You'll master arcane spells, summon powerful creatures and harvest the souls of your dead enemies to control the lands. It's an epic, multiplayer, no-holds-barred real-time strategy game. Game score 8.315 / 10 calculated out of 1561 players' votes.